SALE NOW ON!! *LIMITED TIME* BUY NOW! 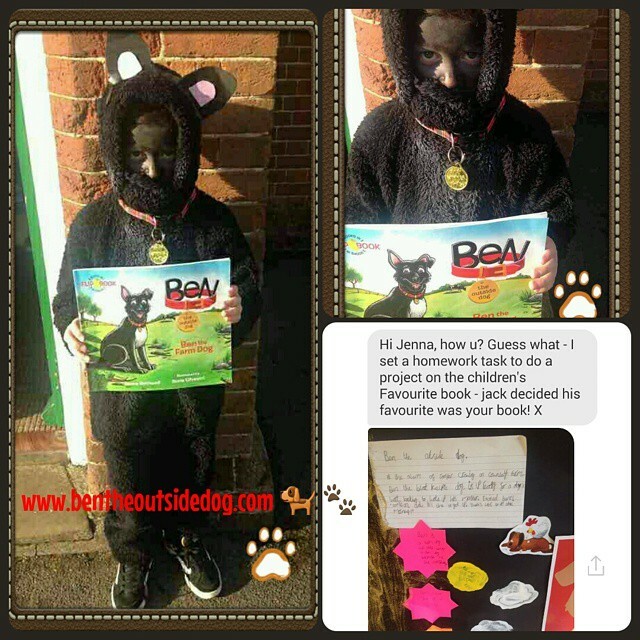 Welcome to The World of Ben The Outside Dog!
" Bark! Hello! My name is Ben and I am a working black Australian Kelpie who looks after Cownley Farm. Here you can Buy my NEW book to read about my day AND night adventures, play Games, learn Fun Facts about my Australian animal friends on the Farm and make friends with all my friends from around the world, by blogging and sharing your tales of reading my book. I love making new friends! Bark! Bark! " Dress as your favourite book character at School for World Book Day! Post by Gurprit Kaur Rakhra.